Everything Coffee and Tea is right here. 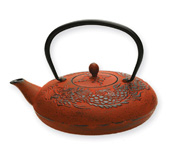 Buy espresso makers, coffeemakers, Old Dutch cast iron teapots and tea kettles both functional and decorative. Find stainless steel coffeemakers and teapots by Cuisinox and other leading brands. The Hilarious Say What? 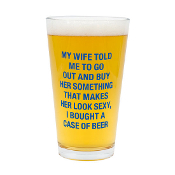 Man Stuff pint glasses are a large 16 oz. capacilty and are outragously funny. The perfect addition to any man cave. Dishwasher safe. The Hilarious Say What? 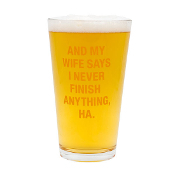 Man Stuff pint glasses are a large 16 oz. capacilty and are outragously funny. The perfect addition to any man cave. Dishwasher safe. The Hilarious Say What? 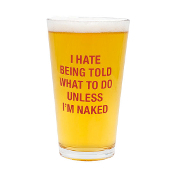 Man Stuff pint glasses are a large 16 oz. capacilty and are outragously funny. The perfect addition to any man cave. Dishwasher safe. 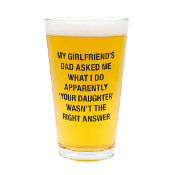 This is the perfect gift for the father in your life. Cats don't like drinking wine, but you do! These two stemless wine glasses are a perfect way to celebrate your lover for wine and cats! Be My Baby Dolomite 11oz Grandparent Mugs. Collection celebrates baby's arrival with soft pastel designs, and heartwarming and humorous sentiment messaging. 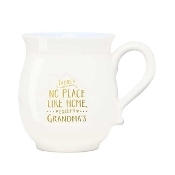 Beautiful and sentimental coffee mugs for grandmothers. 18.6oz Ceramic Emoji Design Mug. 3 Assorted Designs: Wink, Sleep, Love. FDA Approved, Food Safe. For Tea's Sake 14.5oz Porcelain Infuser Mug with Matching Gift Box. 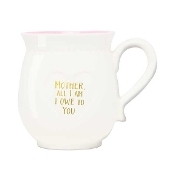 Beautiful and sentimental coffee mugs for moms. 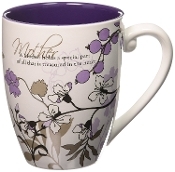 Mark My Words Mugs by Pavilion Gift is an extraordinary inspiration for special people and occasions. 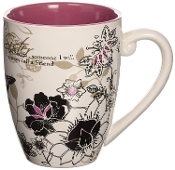 This wonderful collection of fresh and modern mugs features elegant floral designs with gorgeous flowing vines and leaves. Mark My Words Mugs by Pavilion Gift is an extraordinary inspiration for special people and occasions. This wonderful collection of fresh and modern mugs features elegant floral designs with gorgeous flowing vines and leaves. Hubby & Wifey Design Mugs, Set of Two // Mr. & Mrs. Co. 11oz White Ceramic mug from the collection of treasured and humorous keepsake gifts for the bride and groom. Elegant black typography. 2 Assorted Sentiments: HUBBY EST.... Keep your marriage strong by acknowledging who is awesome! Mark My Words a wonderful collection of mugs, coaster caps, inspirational magnets, plaques, banner pens, candle holders, keepsake boxes and notepad frames that feature elegant floral designs with gorgeous flowing vines and leaves. Mark My Words a wonderful collection of mugs, coaster caps, inspirational magnets, plaques, banner pens, candle holders, keepsake boxes and notepad frames that feature elegant floral designs with gorgeous flowing vines and leaves. Romero Britto 20oz Double-Wall Tumbler. Romero Britto 20oz Double-Wall Tumbler. Romero Britto Glass Coaster & Stand 4pc. Gift Boxed Set. Simply Said 16oz Ceramic Mug. 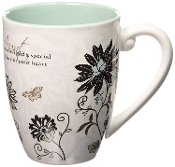 White outer mug with teal interior and black sentiment. MY SISTER HAS A FREAKIN' AWESOME SISTER. FDA Approved, Food Safe. Dishwasher Safe. Simply Said 16oz Ceramic Mug. White outer mug with yellow interior, and black donut design and sentiment. I DONUT CARE. FDA Approved, Food Safe. Dishwasher Safe. Simply Said 16oz Ceramic Mug. Simply Said 16oz Ceramic Mug. 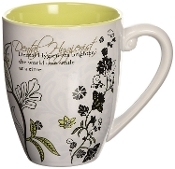 White outer mug with green interior, and black arrow design and sentiment. Simply Said 14oz White Ceramic Travel Mug with Blue handle and black plastic lid and sentiment. Simply Said 14oz White Ceramic Travel Mug with Blue handle and black plastic lid and sentiment. Simply Said 14oz White Ceramic Travel Mug with Blue handle and black plastic lid and sentiment. Wedding Couples Mugs: Mr. Right & Mr. Always Right (Set of 2) Young's 2 Piece Set Ceramic Good Morning and Hello Mug Set, 5"
Glorious Occasions is a silver wedding themed line by Pavilion Gift Company. 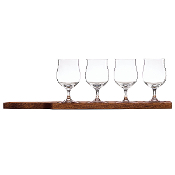 This line includes champagne flutes, picture frames and candle holders. Perfect to decorate your wedding with or to hold your treasured memories forever. 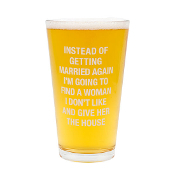 Great gift for newlyweds or as a way to say "I love you" to that special someone.